I've long been a big supporter of the idea of getting your bike fit right. Before you invest money in upgrades, it's best to invest in getting your position absolutely right on the bike. A bit like sorting your swing before buying an expensive set of golf clubs. 3. Getting your bike fit right. 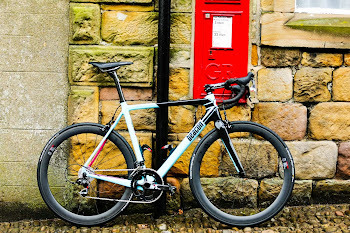 Buying a carbon bike isn't the be all and end all of going fast as a amateur. I'm able to put in average speeds within 0.5Mmph on my aluminum winter bike equipped with Mavic Ksyrium wheels. So, if you've done (1), spent on (2), then (3) +(4) should definitely be on your list of things to do if you've plateaued as a rider and don't seem to be able to shift your average speed. The build up to deciding to go for a full on pro fit was driven by recurring tight hamstrings post ride. Since employing a coach in August year, my volume and load had gone up considerably from 400 or so miles a month to 800+ including turbo interval sessions each evening. We were both puzzled as to why the hamstring issue was occurring all of a sudden so a process of ruling things in/out ensued. First stop was a visit to Foot and Insole in Whalley (great place, review here) whereupon I'd had some custom insoles made to correct a supination issue (not standing straight basically). Insoles are now worn in all my footwear aswell as cycling shoes and they've helped considerably. Long story short, after several small tweaks to the on bike position without much luck, I ended up having an MRI scan which diagnosed a degenerating disc in my back. The hamstring tightness being a related secondary issue due to the volume/load. 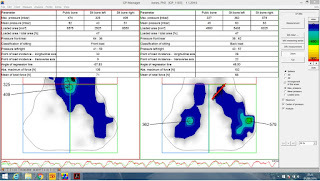 The orthopedic consultant (himself a cyclist) suggested I source a place where all aspects of my on bike position, pedal stroke, cleat positioning, saddle etc could be reviewed to get things absolutely spot on and millimeter perfect. 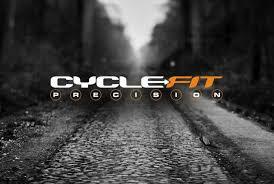 Whilst driving through the Northern Quarter of Manchester, I came across Cyclefit who had recently opened up a studio providing exactly what I needed. They offer a range of services including a full professional fitting service with camera analysis, saddle pressure mapping, cleat set-up adjustment, physio assessment, the lot. The main benefit being that you can be reviewed holistically, from feet upwards. They already fit a number of professional cycling teams and professional riders from World Tour teams to Pro-Continental so they know their stuff. The business was started by Julian Wall and Phil Cavell. You can read more about how and why it started here. Bottom line was they were both injured, had investigated all sorts of medical interventions to get back on the straight and narrow, then had the epiphany that their on bike positions were critical to their recovery and - spotting a gap in the market in 1996, the rest is history. I got to meet both of the owners over a couple of visits and their passion for ensuring that your bike fit is as best as it can be came shining through. Both highly knowledgeable guys, drilling down into all aspects of my own medical history within seconds of meeting them with eyes going up and down at the same time, sizing you up! Greeted by fitter - Matt Hallam - we went into the studio where everything is set-up. You're greeted by a bike rig, cameras, a big screen and all sorts of technical measuring equipment which is put into use during your session. It's like a lab, full of tech and wizadry, just what you want. Matt initially took me a through a detailed questionnaire about reasons for the fit, cycling objectives, health issues and general fitness plus flexibility. From there he did a physical assessment including measuring hamstring length, general flexibility, hip and leg length and all the other attributes which determine ultimately how you end up on the bike. All these are being captured as you go straight into a report which gets e-mailed to you at the end. Cyclefit also take all the measurements from your current bike and set up the rig exactly to the same dimensions so as to know the exact start point. All this is recorded as they go on a record which gets e-mailed to you which explains where all the adjustments have been made and compares old. vs new. The rig that it used for the fitting process is quite something, around £12K per unit to buy it seems. The unique thing about it is that adjustments can be made in real time whilst you are riding. There's no need to keep getting on and off or stop/start, so microscopic adjustments can be made on the fly. When you spin up the rig, all the cameras go on and video is captured of your rotation, front/rear movement, in fact pretty much everything. Dots are placed on you at key points for the software to track. From that, several images are captured and the fitter can then determine the optimum angles. It's an iterative process. 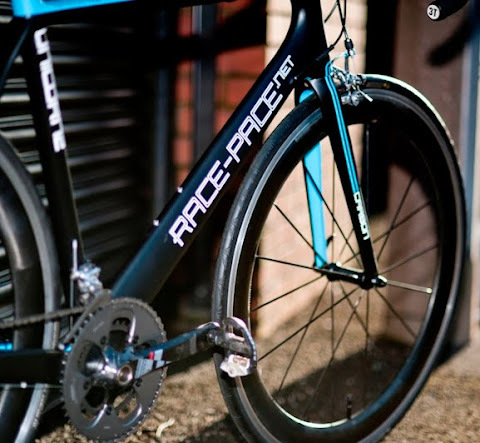 The rig itself can be adjusted in real time with you on the bike, including saddle height, reach, so everything is done on the fly with your pedal stroke, hip movements, line of spine and overall position being monitored to ensure optimum position relative to your requirements and also the feedback that you gave in the consultation session. Cyclefit have a gadget (costs around £6K) which measures in real time where your pressure is loading on your saddle when cycling. For me this was another key component - given my lower back situation - to get right. 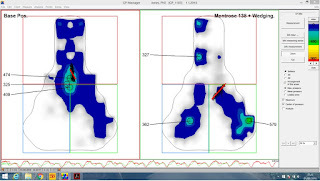 The tool itself is a pressure mat which goes onto your saddle, with data capture software which then captures what's happening as you pedal to then convert into a heatmap (below). As you can see , my current saddle and position meant I was totally front loading with hardly anything at the back which would have been aggravating the situation with my back/tendons. After spinning up on the rig for five to ten minutes and having the saddle adjusted we got to a position where the conclusion was my current saddle (a Selle Italia gel flow) wasn't right for me. Although I've always found it comfortable, the general design relative to my hips etc was leading to an imbalance in pressure and position. I've ridden Selle Italia Gel flow saddles for years, however analysis showed that a saddle change would be helpful and I changed to a Bontrager Montrose which got fitted in store whilst I was there (cost £89.99). The saddle was taking more of the pressure at the rear (desired outcome) which ultimately engaged the glute muscle group more. The chart below indicates where I was (left) to where we ended up (right). 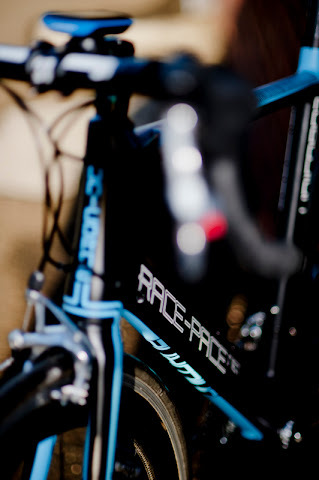 During the session, the fitter is also reviewing all elements of your pedal stroke. When I visited Foot and Insole, we identified what they call a 'leg length discrepancy' which is very common it seems. That is one leg is marginally shorter than the other. As the session continued, various permutations of cleat position and packing were tried until an optimum was found. All this you can see in real time on the TV screens via the cameras in front of you. For me it meant, the cleats were adjusted quite significantly with packing put between the footbed and the cleat to balance out power L/R aswell as an adjustment outwards on either side, pushing them away from the cranks. I could never have got a cleat fit to this level of accuracy on my own. Having someone fully assess you on the rig, make the change, then see - via the data - what that does to your power and stroke is what you end up with. Saddle fore/aft was changed and put further back to line up my knees better during the pedal stroke. Packing was put underneath my shoes between the shoe bed and cleat. Different levels were put under each side to compensate for a small leg length discrepancy. The key thing after all this is what happened afterwards. It's been a couple of weeks since the fit and I'm getting on very well with the new position. Cockpit is comfortable with much more hip support and glute engagement from the new saddle and position. 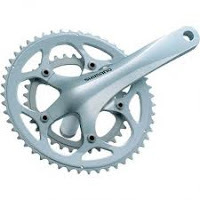 I've done four rides, two flat and two lumpy and on each have come back with around 20 Strava personal records on each, so clearly more power is getting to the cranks. Post-ride recovery seems to be quicker, with less hamstring tightness and a fresher feeling when doing a Sunday ride after a Saturday ride. There are a lot of bike fitting services available, no doubt. Many of them will do a very good job for you in getting the basics right in terms of your position relative to your goals. If you are the type of person who wants to get their position totally dialled in for an upcoming event like a sportive, etape, triathlon or ironman then Cyclefit is the place for you. Equally if you have a medical issue, it's also for you (as in my case). If you've just invested in a fancy new bike, then ensure you get your position spot on to enjoy it. On the basis that a bike can cost you £2,500 to £3,000 then it's about 10% of that cost in terms of investment. Overall it was a real intuitive and educational experience, where I learnt a lot and can now ride my bike 100% confident that everything relative to my position, long term health and overall performance is now spot on. A full price list can be found here. If you do contact them, please let them know you read the review. 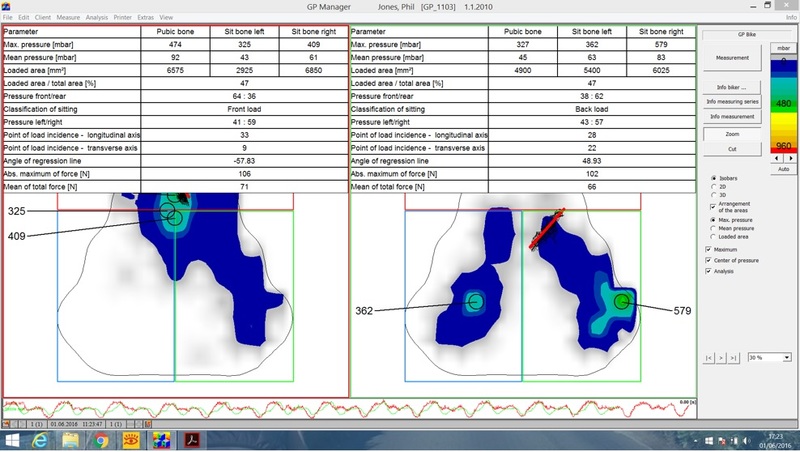 Well i certainly found the saddle pressure mapping very interesting. This is really interesting, I'd love to have a go, I really am suffering from saddle sore lately. I keep trying various saddles but I can't seem to find one that's comfortable. I know this is an old post but I'd appreciate it if you could recommend your favourite saddles.